The 2018 Jeep Wrangler is a legend in the auto industry. This unique off-roading vehicle is one of a kind, instantly recognizable, and well-loved by Jeep owners–and critics–in Lubbock. Discover what some of the top names in the auto industry have to say about this Trail Rated® icon. KBB Best Resale Value: The 2018 Jeep Wrangler won both the KBB Best Resale Value in the compact SUV/crossover and the midsize SUV/crossover categories. 4×4 of the Decade: In 2016, the Jeep Wrangler Rubicon was named the “4×4 of the Decade,” proving the Jeep Wrangler is the right choice on the Hobbs NM roads or trails. It holds up just as well today! 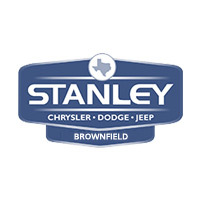 Discover what makes the 2018 Jeep Wrangler so celebrated by driving it yourself at Stanley Chrysler Dodge Jeep Ram Brownfield. We will be happy to show you all the performance and utility features of this standout Jeep.